Following the discovery of a painter’s corpse electrocuted in a bathtub while the police are investigating the murder, Bei Wei, a model played by actress Bai Ling, is involved in the investigation. The female protagonist, who has a tragic past, becomes a frequent customer of a bar where she drinks a special cocktail made with Lycoris Blossom. Bei Wei falls in love with Tu La, Zhao Yan Guo Zhang, the bar owner, who his a former art painter, who portrays dead people almost exclusively. 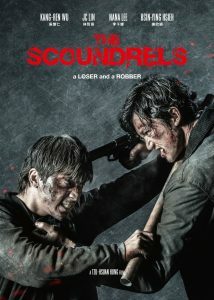 He struggles to accept a new love affair due to the death of his previous girlfriend. But the dark painter to whom life has offered only and solely pain surprisingly finds again the passion and the romanticism thanks to Bei Wei. But Tu La is inexorably trapped in the cycle of death. The complications and twists in the search for truth are added with the introduction of the art collector Lv Li, played by Tao Hong, who only buys paintings when the artist and model are closely linked together and hide secret and obscure stories. “The Fatal Contract” turns out to be a dangerous weapon, where the portrait is the metaphor of death. Lv Li commissioned a portrait of Bei Wei to Tu La. The story takes dark tones and an atmosphere of a dangerous gruesome trap. Xuan Miao, in the role of the police officer, carries out investigations into the case that can never have a specific killer because of the twists in the end. “The Fatal Contract” is a Chinese thriller with murders, mystery, and love stories, that evokes the troubled stories between the painters and their muses, since ancient times a source of inspiration for dramaturgy and directors. The theme is developed in a contemporary time but is addressed in a key that offers many possibilities, in fact, it could be valid in any age or place. Despite the fact that from the beginning the viewer is aware of what is happening, the narrative structure focuses mainly on a series of flashbacks and flash-forwards, with explanatory functions. 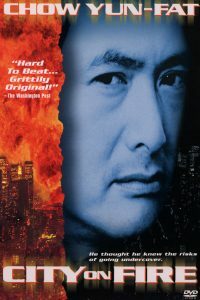 The director Tan Bing had previously directed “China Salesman”, whose main performers are Mike Tyson and Steven Seagal. “The Fatal Contract” is the first Chinese film that sees the return of the Chinese-American actress Bai Ling to the big screen in Mandarin language, after more than 20 years in which she was banned for her criticism of the government. During this twenty years, the actress has worked mainly in America and has participated in numerous productions including those of Oliver Stone, Spike Lee and George Lucas. The locations where the story is set are mainly focused to make the protagonists stand out. The characters are not lost in the crowd, typical of the Chinese metropolis. The story is immersed in empty or small spaces: an art gallery, a small bar, a meager police station, a white snowy landscape, a simple crematorium with a small urns cemetery. 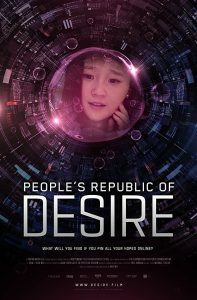 Those who move the threads of the story are women, a particular circumstance in a Chinese film.